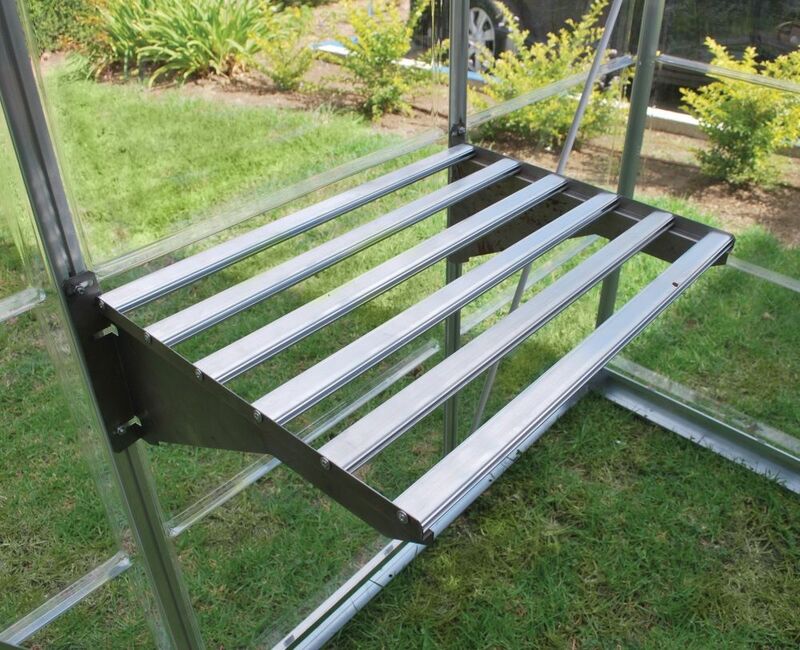 Heavy Duty aluminium slatted shelves that anchor and screw into the frame of your Palram greenhouse. The shelf kit also includes 3 plant hangers. 40KG load capacity.